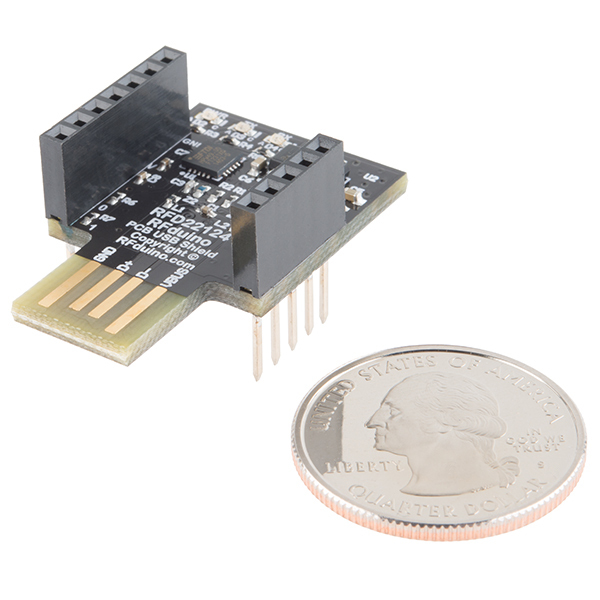 This is the RFduino PCB USB Shield, a small add-on board that plugs into any USB port and is used to load your sketches onto an RFduino module. 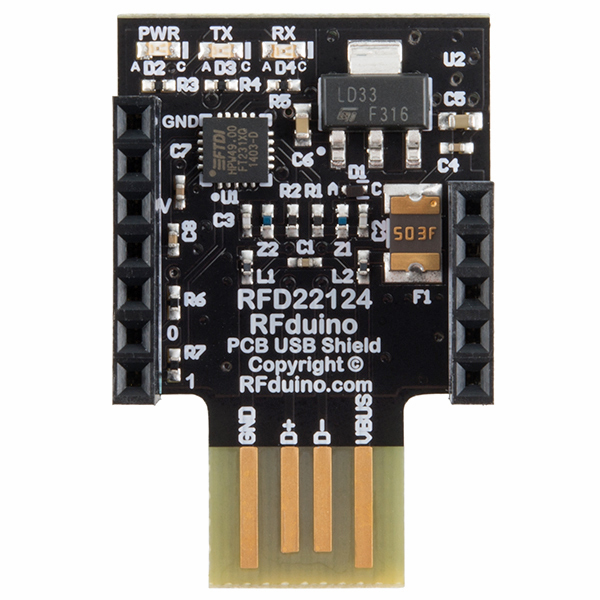 This shield is almost identical to the RFduino USB Shield and provides the same basic function. The PCB USB Shield can be attached to any solderless breadboard with the RFduino DIP plugged on top or even below it for better ease of use. 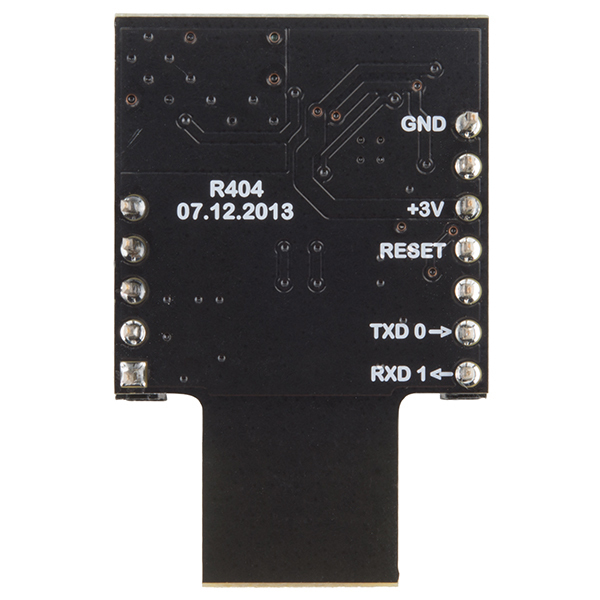 Once your code is loaded onto the RFduino, this USB Shield can be detached! 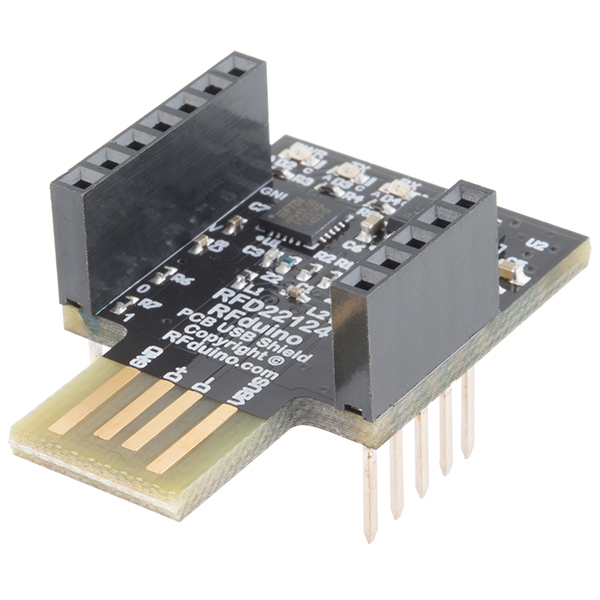 On-board the RFduino PCB USB Shield is a 3.3V regulator which can be used to supply power to the RFduino DIP module as well as other shields and possibly the rest of your circuit. Note: This board or the PCB Shield are required to load code onto your RFduino. This board or the PCB Shield are required to load code onto your RFduino. Do you mean the USB Shield? What is the difference between this shield and the normal USB Shield? I realize that it has a PCB USB connector, but is there any reason one would choose it over the other USB shield, other than to save a buck?